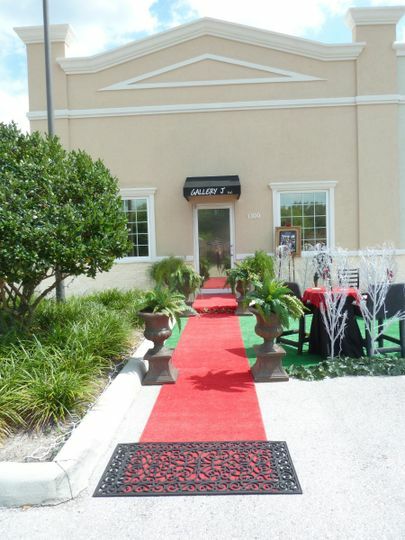 Gallery J is a unique, eclectic style wedding venue located in Orlando, Florida. This stunning space combines two studios to create an unforgettable wedding day experience. 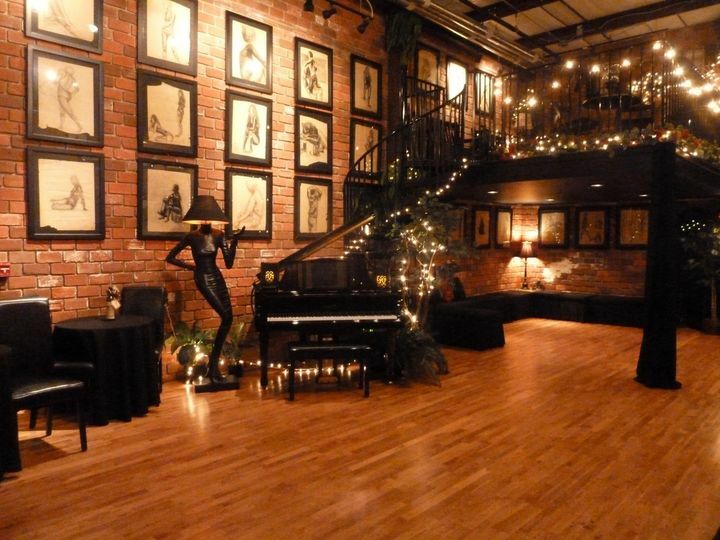 Invite your guests to mingle in the jazz-styled Gallery Studio as a grand piano and beautiful exposed brick combine for a cozy, glamourous speakeasy feel. 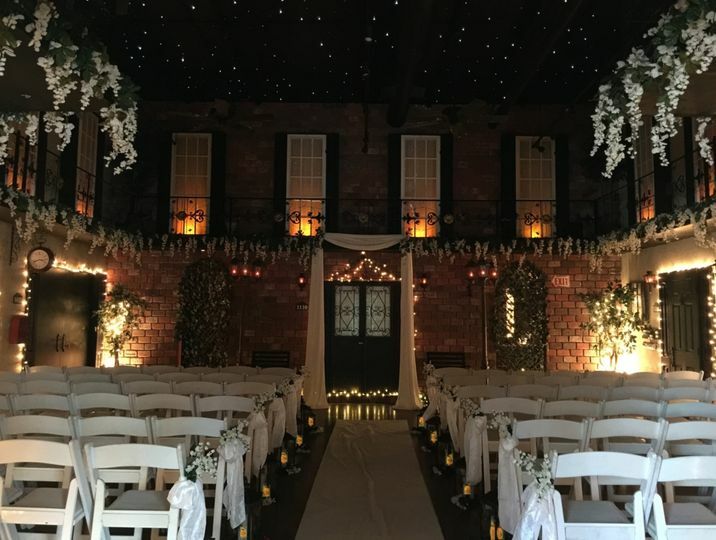 Say your vows under the stars in Gallery J's Paris styled studio. 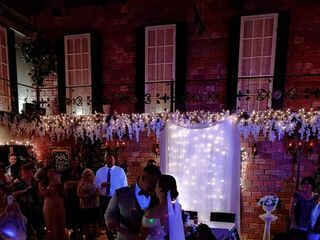 The twinkle lights strung above will make you and your guests feel like you're in the middle of a quaint courtyard while you exchange rings in the comfortability of the indoors. 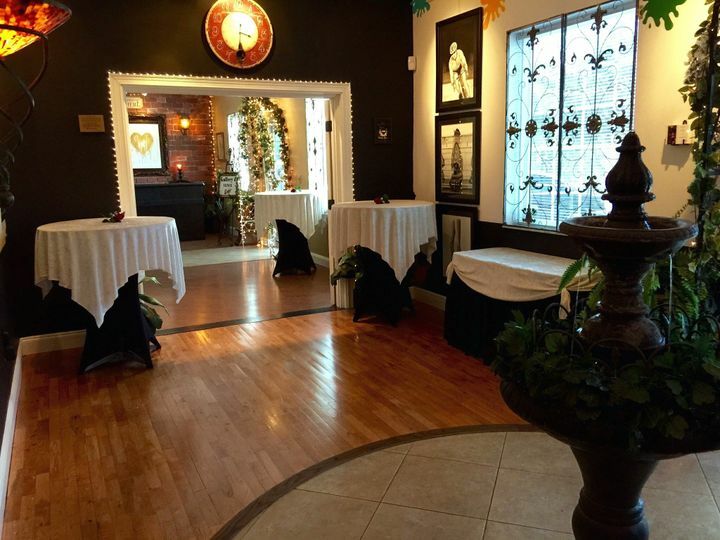 Inquire about Gallery J today for a unique, one of a kind wedding day experience. Gallery J's studios are what make this venue so special. 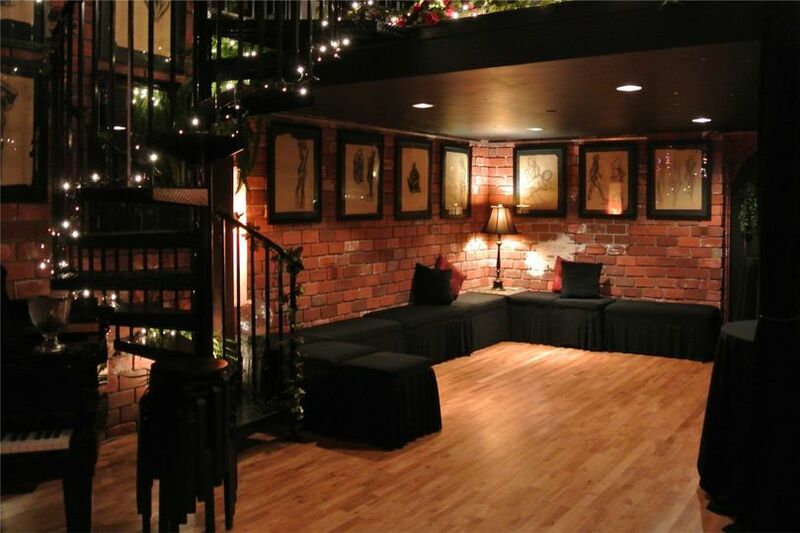 Their twinkle-lit J Street room is indoor, made to look outdoor and holds up to 100 guests with a cocktail-style reception. 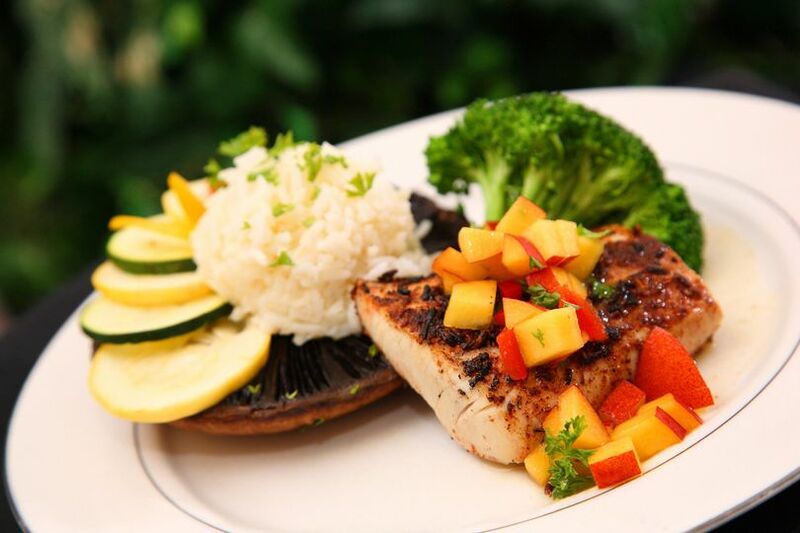 For a traditional sit-down meal, this space accommodates up to 50 in its New Orleans-meets-Paris atmosphere. 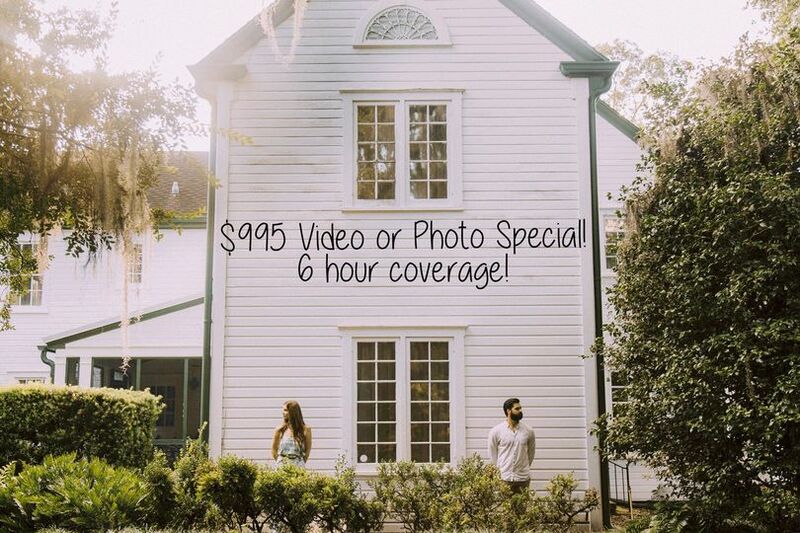 For an intimate, jazz style elopement, utilize the Gallery Studio with up to 10 of your favorite people. 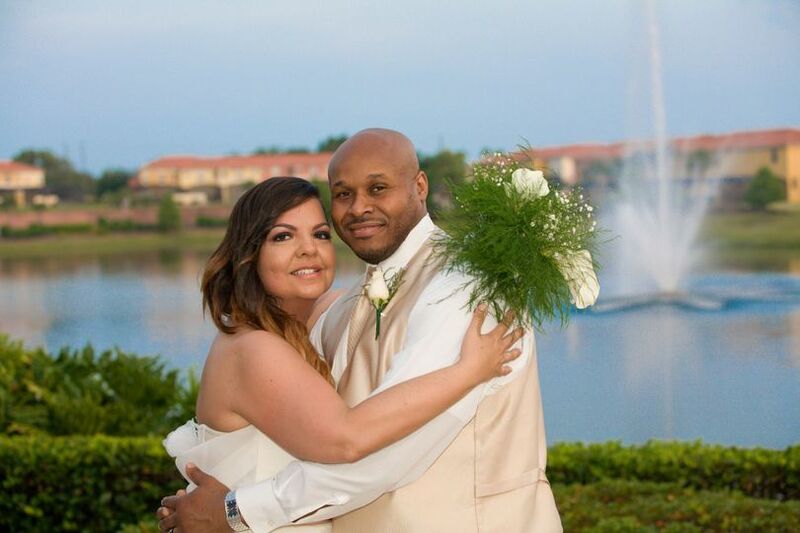 No matter which style ceremony and reception you choose, your guests will love all that this unique venue has to offer. 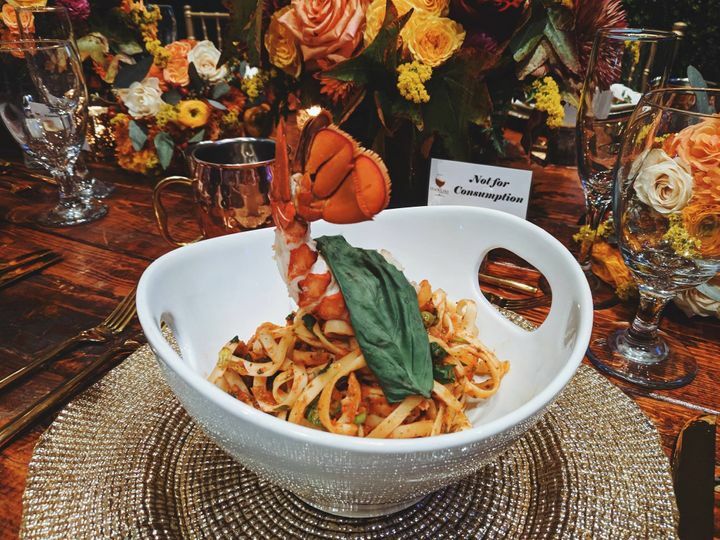 When it comes to food, you'll be able to completely customize your wedding day meal by bringing in your own catering and vendors. 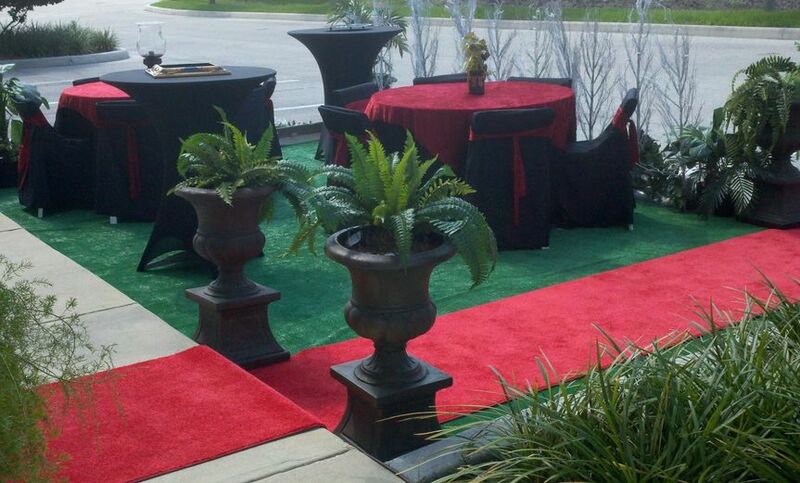 Their serving bar found in the foyer will be available for you to setup refreshments for guests throughout the night. Choose your catering style to transform Gallery J's unique space into whatever atmosphere you want it to be from an Italian pizzeria to the streets of Paris. At Gallery J, design your wedding to be exactly as you'd imagined it to be. 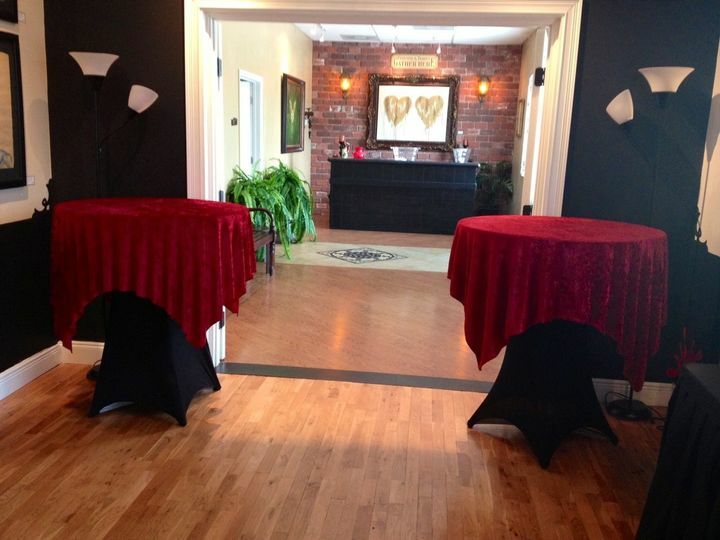 Photo booth option built in to our J Street studios for fun during dance hours of reception. Marilyn & Michael on the red carpet in the entry courtyard. I could not have imagined a better venue for my wedding. It was breathtaking and fit perfectly with my vision. Each person that works there made me feel so welcome. And on the big day the host and the staff did a great job. Thank you for everything! Congratulations! ...and thanks so much sharing your kind words here. We really appreciate the time you took to do this for us. OMG, what a perfect day! 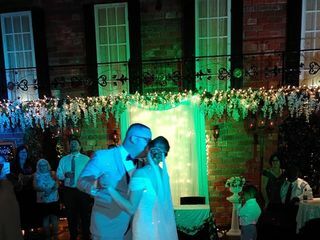 This ceremony turned out to be even more beautiful than I ever dreamed. 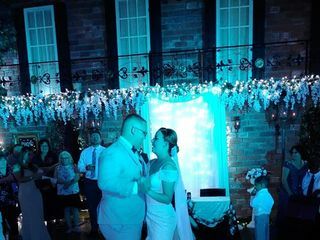 They went above and beyond to make the day magical! Thank you again, and I wouldn't change a thing. 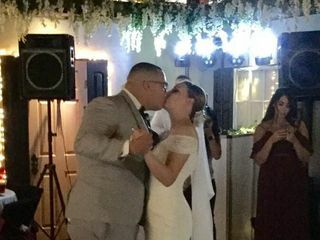 We purchased the all-inclusive package for our wedding ceremony and reception, and it was the best decision! Well worth it. Such a beautiful place to get married. EVERYONE commented on how stunned they were! 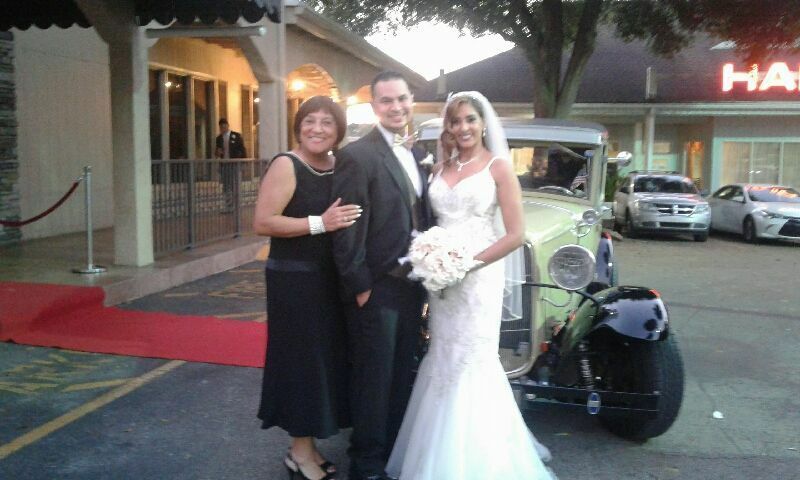 The staff was so pleasant and so very patient with us and our guests. 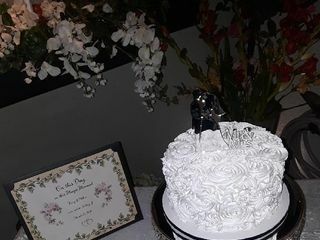 Everything was perfect! We absolutely love working with Jacque at Gallery J. We have worked with her on many occasions. She and her entire staff are such a p[leasure to work with. The venue is stunning and such a beautiful place all around. Perfect place for a wedding and I would recommend this venue to any of our potential brides. Truly a venue like no other! 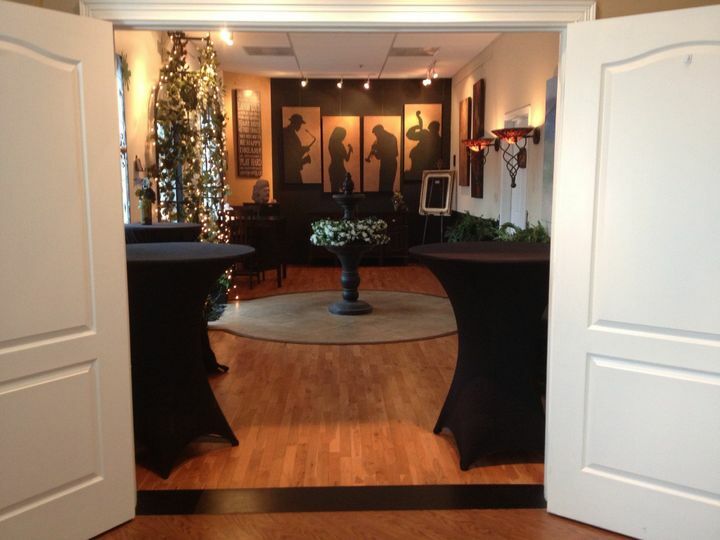 Gallery J has beautiful, unique, and elegant spaces inside and out perfect for weddings or special events. We would highly recommend! 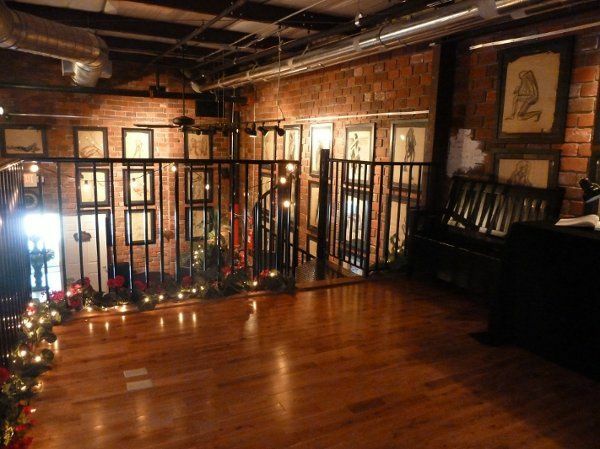 Gallery J is one of the most creative and fun venue&apos;s I have had the pleasure of working with. 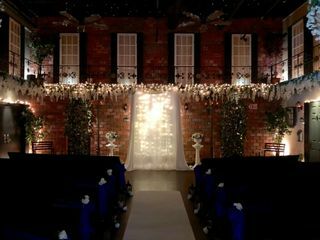 They cater to small and mid size weddings and do it so well! Their staff is not only professional, organized and efficient, they are friendly and cooperative. 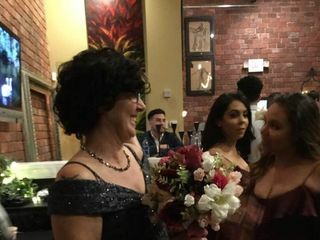 I look to performing many more weddings at this awesomely unique venue!